New Jersey native Anthony Coogs gets down on the darker side of deep and progressive techno. 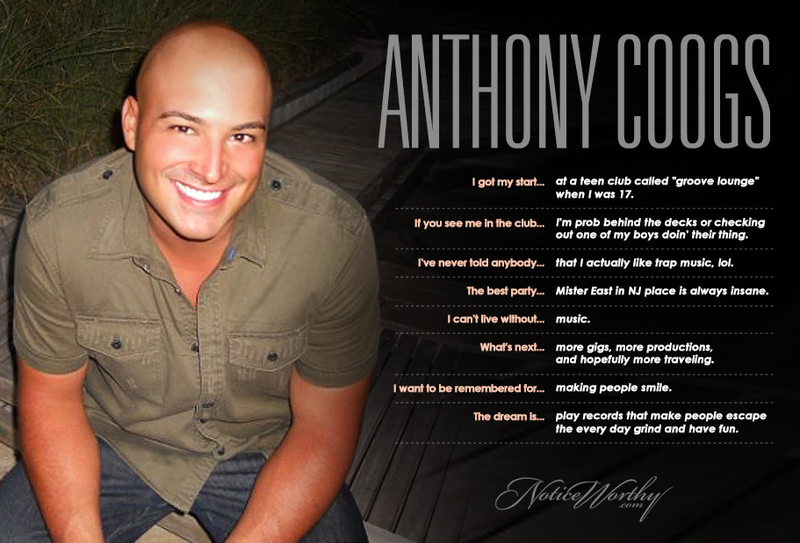 Never one to follow the trends, Anthony has been on the forefront of molding the scene, from behind the decks, 15 years and counting. It's no wonder Anthony is a true veteran of the scene.